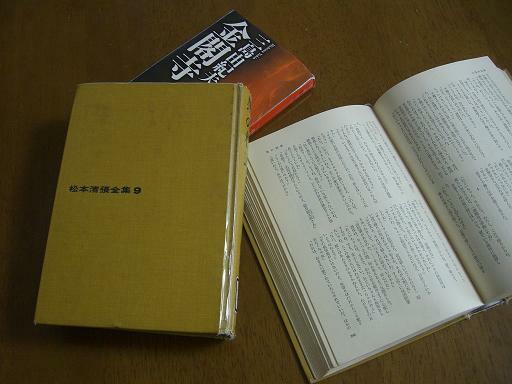 On weekends, I enjoy reading books written by Matsumoto Seicho. recently these comedians are very boring. I miss the veteran comic duos and can enjoy them only during the New Year holidays. Well, Matsumoto Seicho is a great writer. Of course, Mishima Yukio is also a genius, but my gut feeling is a preference for the works of Matsumoto Seicho. He is good at describing people in misfortune, and he suffered misfortune when he was a boy. because there are many grudges played out in his books and the stories don't have happy endings.